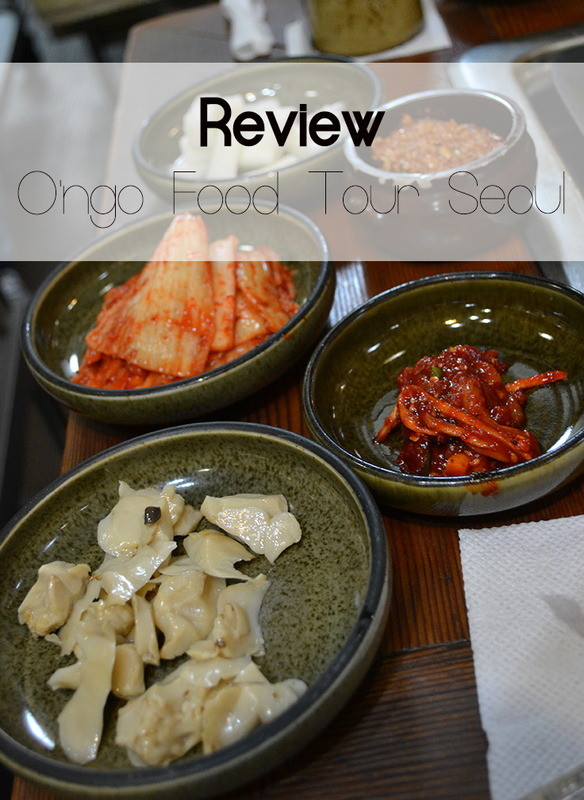 As a lover of good food I was very excited when I found out about O’ngo Food when planning my city-trip to Seoul. I really wanted to do a food tour in Seoul in order to eat some local delicacies and learn more about Korean food. The Korean Night Dining Tour took me to 4 different places and made me a very happy ‘fat’ kid. To be honest, I am not the kind of traveler that often goes on guided tours. I find that they take up a large portion of our travel budget, especially when we are traveling for a longer time and when we need to stick to a budget. Besides that, in general I think it is more fun to explore and discover local restaurants on your own. But sometimes I decide I want to do a tour. Either because I’ve heard good things about it, I don’t want to venture out on my own or just to splurge every now and than. Value for your money or overpriced? First, let me get the downside of this food tour out of the way. Because, if it wouldn’t have been for the discount O’ngo Food gave me, I probably would not have joined their tour. $88 – is quite a bit of money to spend on a 3.5 hours tour, food and (alcoholic) drinks included. Personally, I didn’t think the tour was worth the almost $90. We (there were other people who joined the tour) had a few glasses of soju, but soju is not the priciest alcohol available in Korea. Also, the beer and soda’s we had couldn’t have been to expensive. As for the food, I have my doubts of the costs of this, especially since we shared a lot of the dishes, if not all of them. Enough about the money, let’s talk about the food! Because the places our guide JS took us to offered some really good food! All together JS took me and the other travelers to 4 places; Korean barbecue, Korean noodles, a tent that served some typical Korean ‘drunk food’ and to top it off, a Korean dessert cafe. After a short stroll through the neighborhood JS took us to a barbecue restaurant where we enjoyed some great barbecued meat. Unfortunately, I managed to burn my fingers really bad (I tried to flip over the meat, but the skillet was super hot), which made it a lot harder for me to handle my chopsticks and get the meat in my mouth. But, the pieces I did manage to bring to my mouth were very tasty. The meat was soft and tender and had a lot of flavor. I would have definitely eaten more of it, had I been able to use my chopsticks! One spicy, the other one soft and sweet. Those are the flavors that stood out from the rice cake soup I tried. The rice cake is somewhat gooey, but soft as it kinda soaks up the soup. 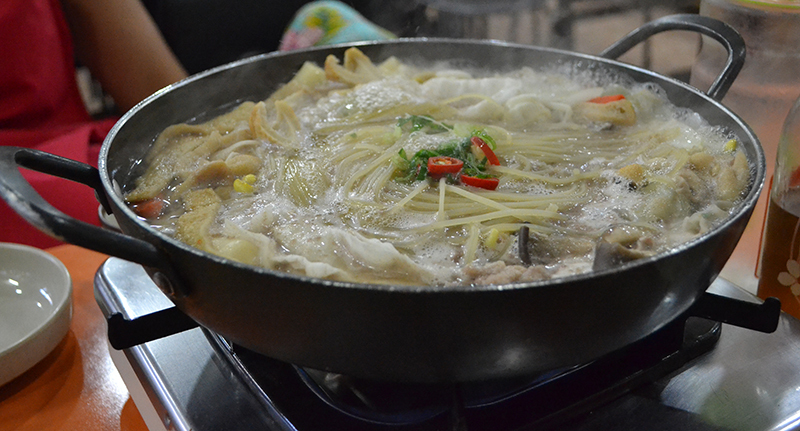 Toppoki is a popular Korean dish and goes back as far as the Joseon dynasty, it is also said that it was part of the Korean royal court cuisine. That’s why toppoki also goes by the name of ‘Royal Toppoki’. This original version had a brown color, the modern version is more red. Although I don’t mind spicy food, the original, somewhat sweeter toppoki definitely was my soup of choice. The spicy one was just too hot, spicy, and fishy for me. We had it with a sweet plum soju, a popular drink among students and after I had a few sips I could see why. This soju is very sweet and I could hardly taste the alcohol, so anyone who drinks this probably drinks it like its lemonade. Each and every country has its own ‘drunk food’. I don’t know where you’re from and what your ‘drunk food’ is, but in the Netherlands, we often eat French fries or some other fatty food after partying & drinking. In Korea people eat kimchi pancakes, and Korean omelet. Both snacks have a lot of flavor and is guaranteed to make you a happy fat kid after a night of exploring Korean nightlife. Even better: it will turn you in to a happy fat kid at any time of the day! The location, a simple tent, was splendid and made a great atmosphere. It was still early when our group got there, but I can only imagine how busy and lively it gets later at night. In my opinion a great place to go hang out with friends, have a beer and snack on some kimchi pancakes. Also, you will find no other travelers here, so you will have a very ‘let’s get local’ experience! For me this was the best place we visited during the tour. I thought the snowflake sherbet was so good, I went back the following day to have another one. The cafe is located in the popular area Insadong so I, luckily, had no trouble finding it again. The snowflake sherbet consists of a big heap of tiny pieces of shaved iced (you see where they get the name from?) 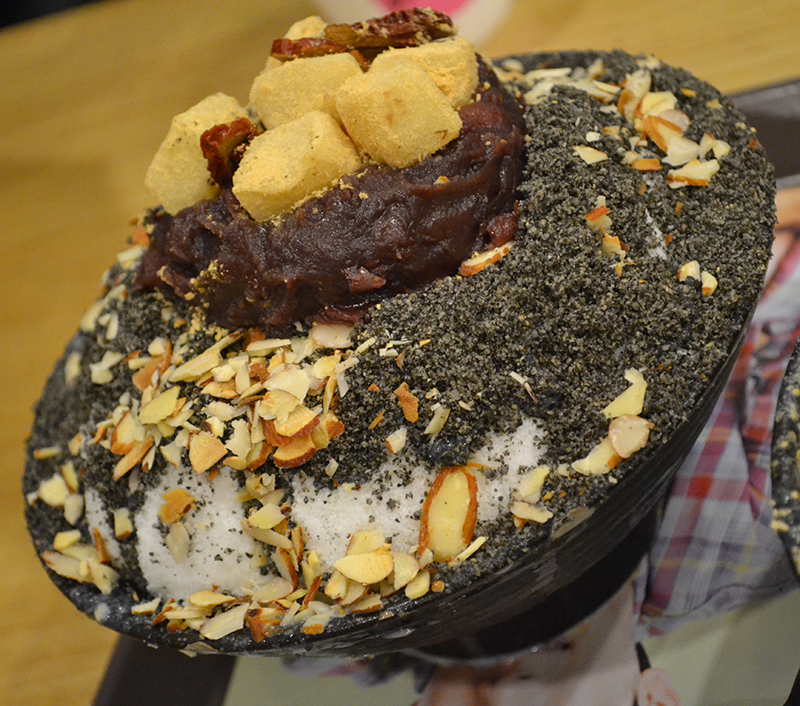 topped black sesame, a red bean paste and shaved almonds. A delicious treat on a hot day. Since I was traveling on my own this time, this tour was a great option for me to discover some more of the Korean kitchen. Some of the meals I had during the tour are just a bit difficult to order on your own, or can’t even be ordered for one person (like Korean barbecue for example). I also had the opportunity to go to places I might have not gone on my own, like the tent for example. After the yay part comes the nay part. As I was saying at the beginning, I think $88 – is a bit on the high end for what you get. Especially for people who are traveling on a budget. The ratio ‘food – money’ is a little out of balance if I have to be honest. Still interested in a food tour with O’ngo though? Check out their website for more information about their tours and cooking classes. It all started in her early 20's when Yvonne took her first ‘far away’ trip to Malaysia. She fell in love with Asia so a few years later she went to Thailand. 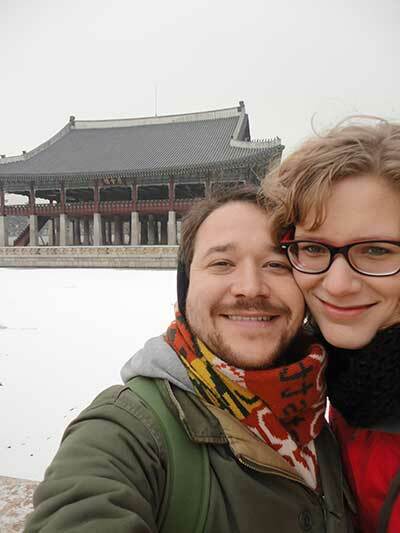 In 2010 she left the Netherlands for China and she’s been living & working there ever since. Yvonne is currently working as a homeroom teacher at a bilingual school.